Employers publish demand for in demand skills years in advance (if they can). Signal what skills are required so students can acquire them. Build awareness of alternative programs to four-year degrees. Impressionable students need to know these programs even exist. 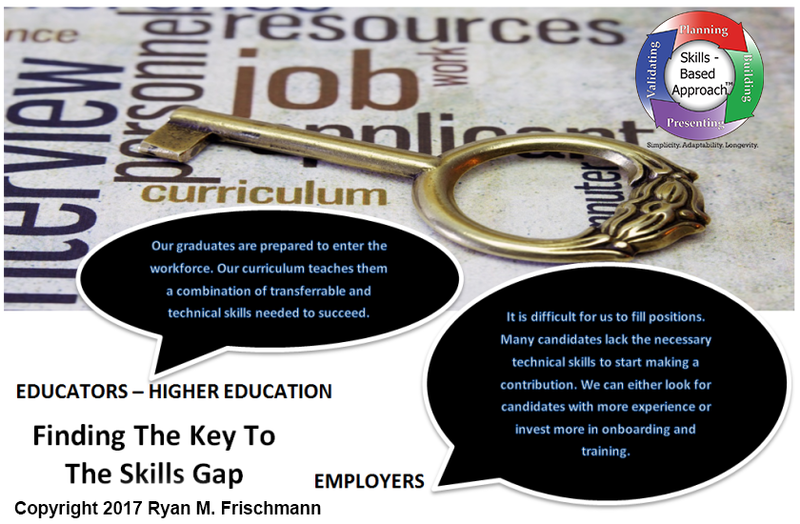 Employers work directly with higher education and training institutions. (According to a recent The Future of Jobs Report, 25 percent of companies plan to ‘collaborate with education institutions’.) Create programs where students get job training and a contingency that when they graduate, then they get a job. Embrace new programs, such as bootcamps, nano-degrees, microcredentials, and new age apprenticeships, that target skills effectively and efficiently. (An accountant, web designer, network technician – all high demand jobs – do not require a four-year degree.) The programs save time and cost for students. Skills Based Approach is a methodology centered on the development of a skill set through education, higher education / training, and a career. A person constantly cycles through four stages with an evolving skill set to stay relevant. The methodology is an application. It is useful for all learning programs, as it focuses on skills. Skill Culture is a growth mindset to be motivated and taking action to learn and apply skills. In a Skills Culture, students and young professionals acquire skills and then prove competencies with assessments or demonstrations. Practitioners teach skill and concentrate on the underlying methods and applications. Companies forecast demand for skills, hire for skills, and train skills. Skill Syllabi and Skills Label are applications to express learning in a course and task level. These resources provide a basis for competency based learning and stacking credentials needed for career readiness.